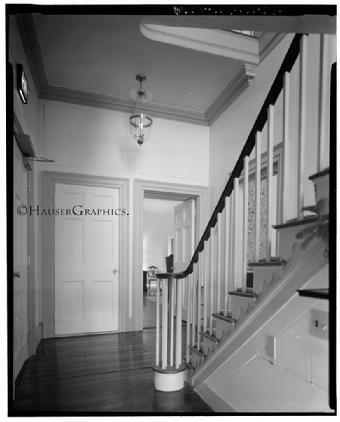 Octagonal Wing Stair Hall. 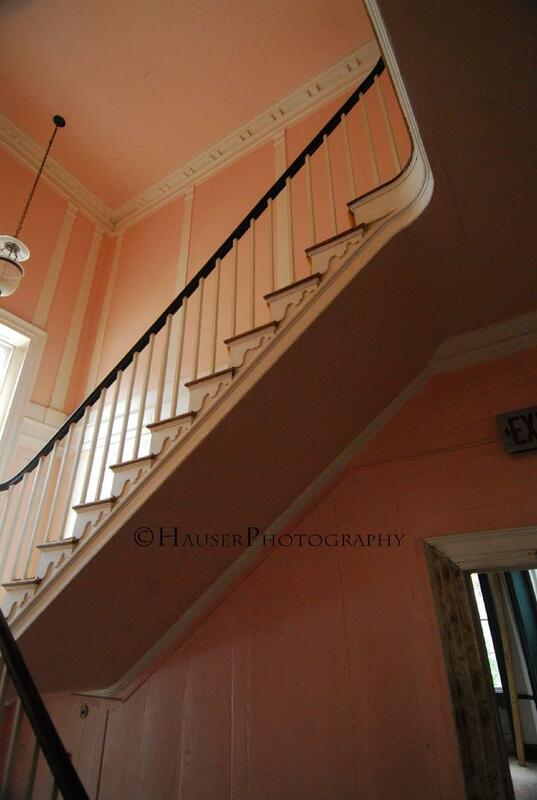 Pink color left from the Fenwick Hall Hospital era. 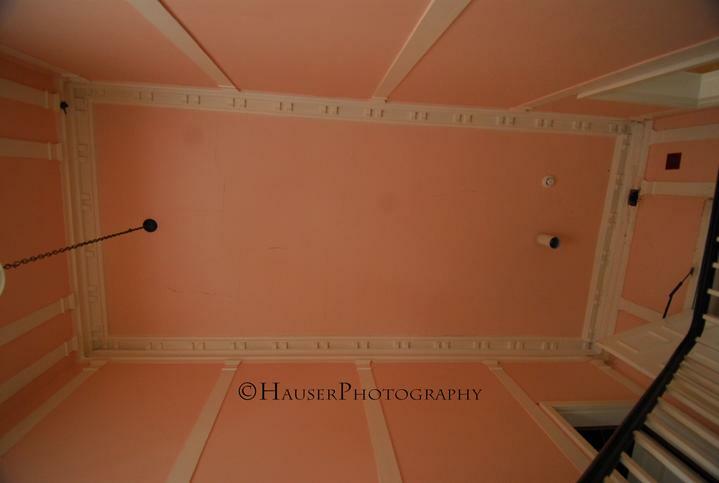 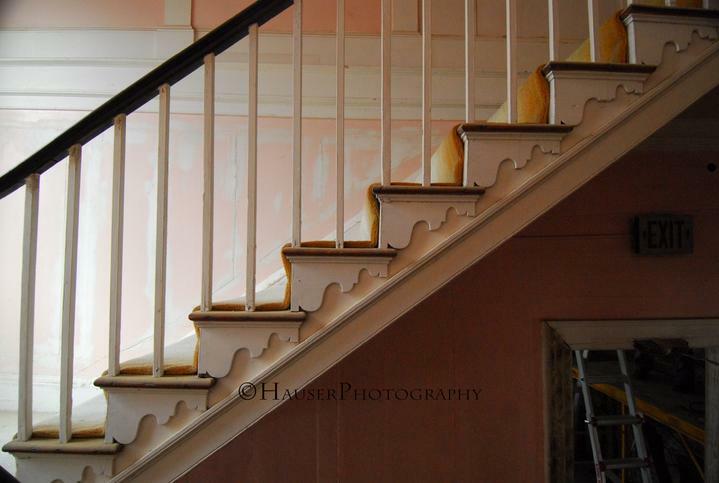 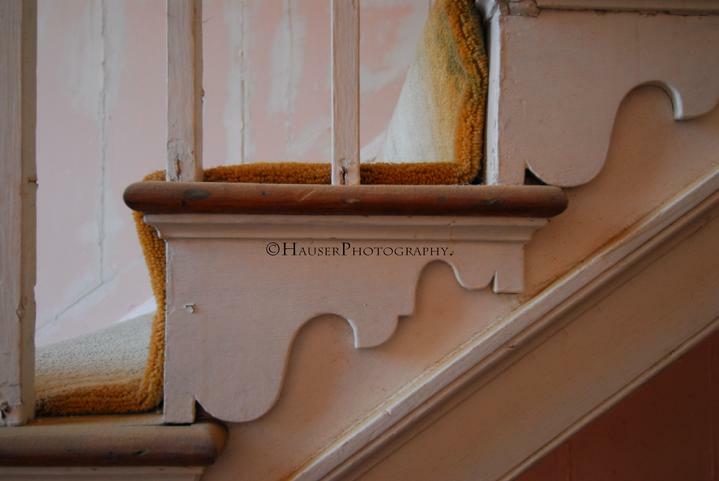 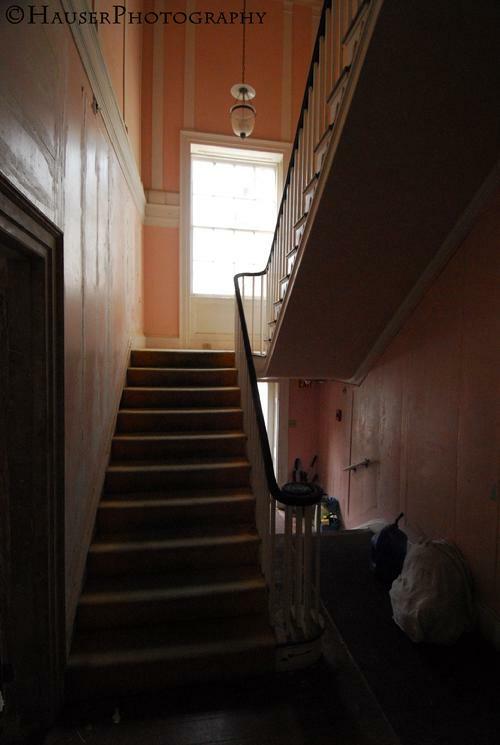 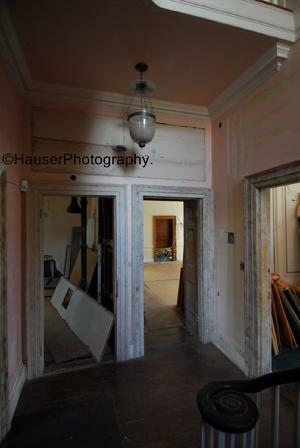 More Pink from the Hospital years..
Upper Landing leads to the octagonal rooms and oldest section of the manor. 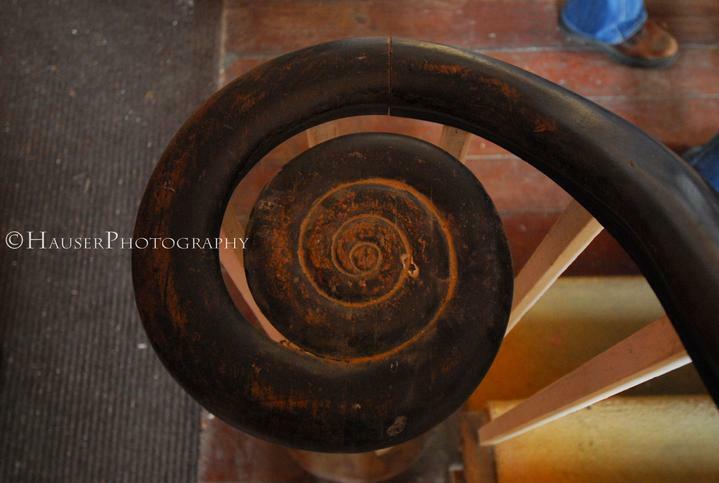 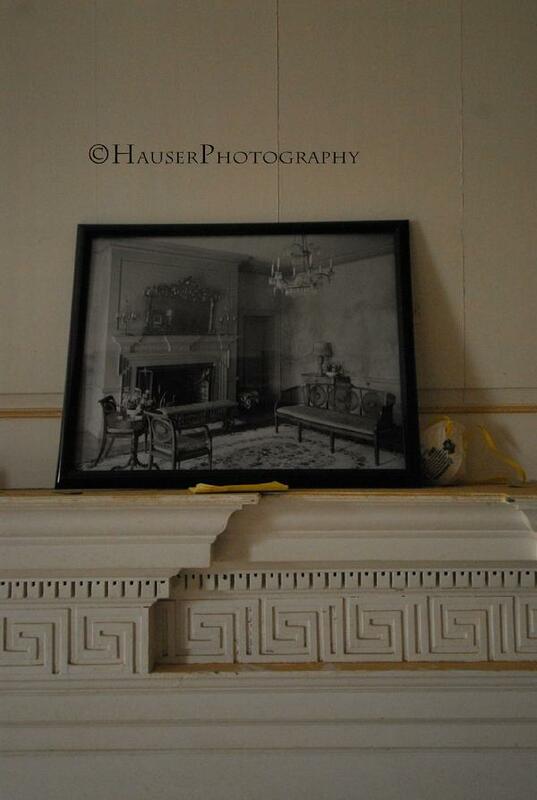 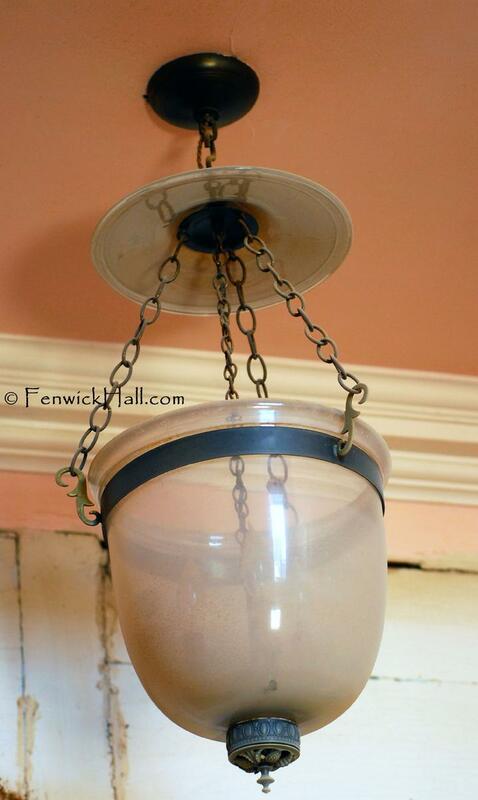 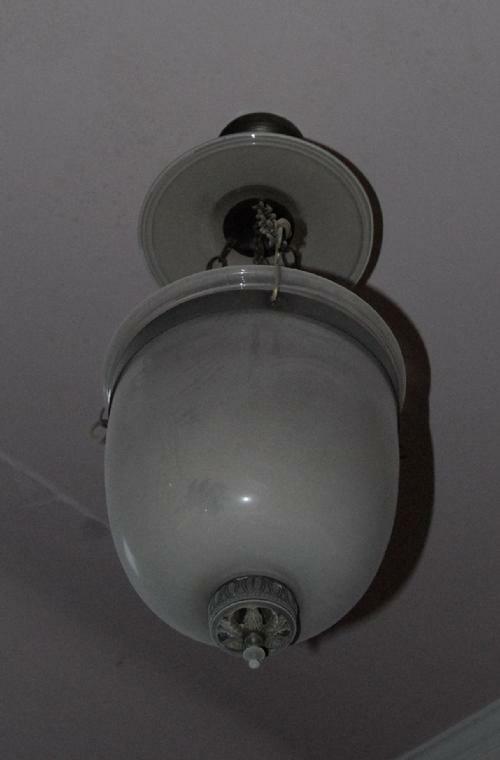 One of two fixtures in the stair hall.